In late 2006 and early 2007 he had his first international releases on labels Urban Torque (As I Am An Exit), Supreme Entertainment and Mezzotinto, the latter of which; "Midnight at the Aquarium", swiftly brought him to the attention of many house and techno luminaries. He followed those up with key releases on labels like Ovum, NRK and Delsin, further cementing his trademark melodic sound in the minds of DJs and music aficionados alike. "Arabesque" (Tishomingo) became one of his most popular tracks and it was also licensed to several high profile mixes (including Luciano´s Fabric 41). 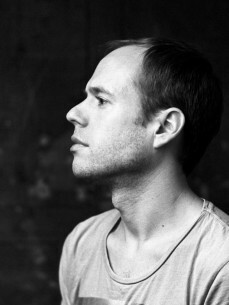 As a result of the success of the beatless mix of "Umbrella" (Ovum), he was voted third best chillout artist in the 2007 Beatport awards. Since then he has released on labels as diverse as Figure, Connaisseur, Komplex De Deep and Cocoon Recordings among others and proved a versatile artist whether producing deep house through to big room techno, but all with the trademark Chymera feeling.